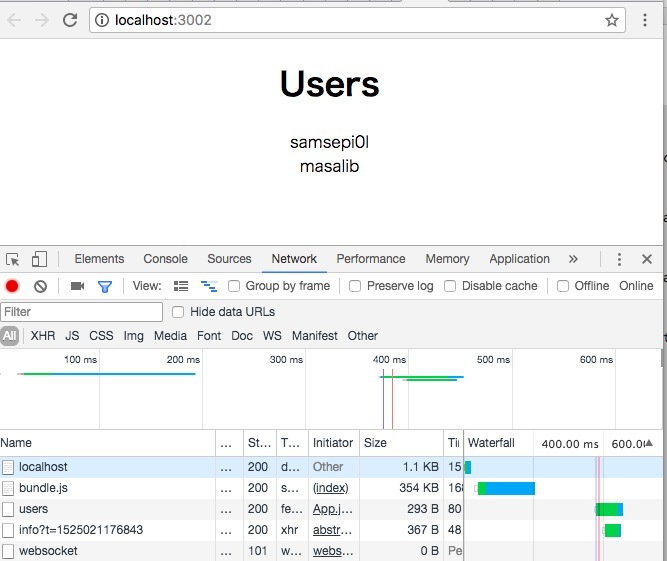 Creating a new React app in /test-react/react-express-test/client. You can now view client in the browser. Proxy error: Could not proxy request /users from localhost:3000 to http://localhost:3001. See https://nodejs.org/api/errors.html#errors_common_system_errors for more information (ECONNREFUSED). "client": "PORT=3002 npm start --prefix client"
"dev": "concurrently \"npm run server\" \"npm run client\" "
> concurrently "npm run server" "npm run client"